Heinrich Schneider serves his playful recipe in lazer-cut eggshells, but some pretty shot glasses should suffice if you can't get your hands on these. 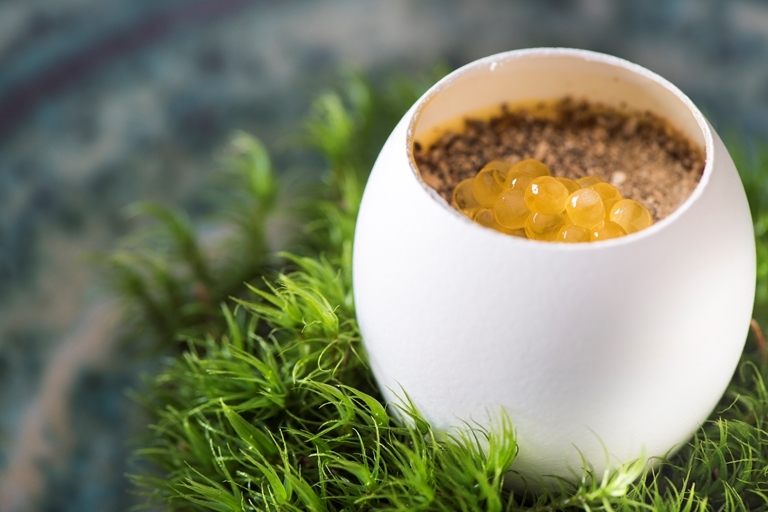 A creative melding of land and sea, this canapé is comprised of a savoury custard filling laced with a rich oxtail consommé, a dusting of morel powder and a golden mound of char caviar. 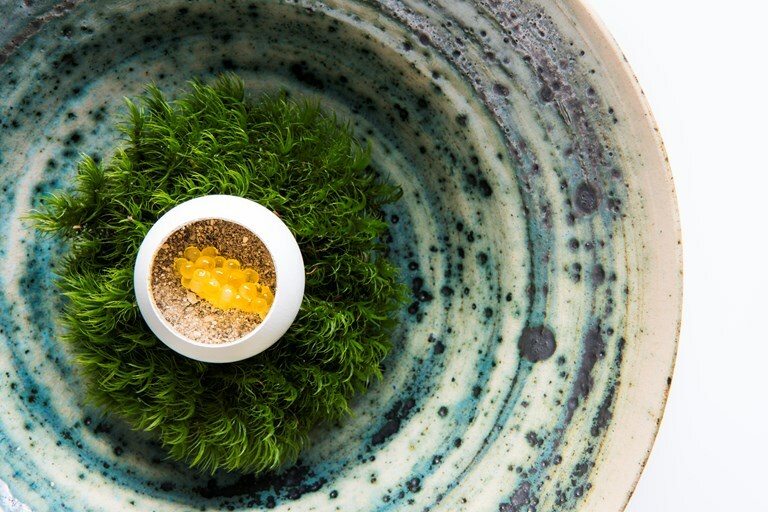 Serve the eggshells on a tuft of moss or bed of black salt.